Louisville companies call on Louisville Worksite Wellness to give their team members another reason to love their job. Our trainers set-up shop on-site and team members can join the worksite class that they’ll be doing with their fellow colleagues. Each team member is assessed by a trainer for nutrition and health purposes and are given advice on how to reach their overall health goals. Absenteeism isn’t cheap and with Louisville Worksite Wellness, we’re bringing energy, motivation, and inspiration directly to your team! BA in Health Communications from the University of Kentucky, ACE Group Fitness Instructor, AFAA Personal Trainer, Group Exercise Director Previous Director of an Adult Weight Loss and Nutrition program, Worked in Health and Fitness for a little over 10 years. Bachelor of Science in Physical Education and a minor in Health Education, ISSA Certified in Personal Training and Sports Conditioning, TRX Suspension Trainer Certified Training for 2.5 years. Master's of Science in Education in Exercise Physiology from Kansas University. Over 5 years experience as a personal trainer and fitness instructor. ACSM Personal Trainer Certified and Precision Nutrition, Level 1 Certified CPR/ AED Certified. 4 years of fitness training experience, 1.5 years in collegiate athletics and 2.5 years here in Louisville (Blairwood), B.S. Kinesiology - Human Performance - University of Wisconsin- Eau Claire, ACSM-Certified Personal Trainer. Here are some of our current Louisville Worksite Wellness business partners. We’re ready when you are. 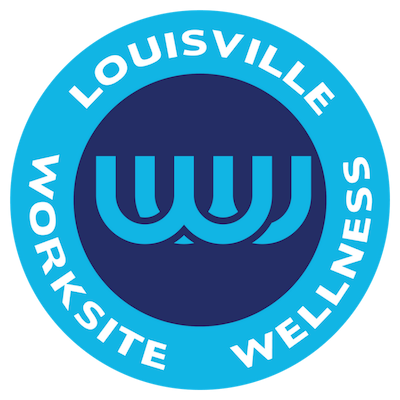 Get started with Louisville Worksite Wellness today.